For nearly 20 years now, Kristian Roggendorf has been at the forefront of making Oregon safer for children and obtaining justice for people who have been harmed by those in power. 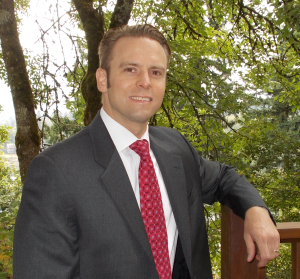 Taking his first legal job with a small firm called O’Donnell & Clark as a law clerk in 2000, Kristian helped the firm grow into one of the Pacific Northwest’s premier litigation firms representing individuals abused as children in the institutions they trusted, often by people they turned to for safety. As a lawyer since 2001, Kristian has advocated as an attorney in court, as a witness in the legislature, and as a spokesman in the media, fighting back against the bullies of this world—whether they wear a priest’s collar or carry a government job title. Now practicing in Colorado, and with offices throughout the mountain West, we can help you with your case just about anywhere from the Rockies to the Pacific. Specializing in Civil Appeals, Child Abuse cases, and Representing Citizens against the Government, Kristian has now joined Vial Fotheringham LLP, a law firm with offices throughout the West, to help people who have been abused by those with power. In cases such as J. M. v. Oregon Youth Auth., 364 Or. 232, 434 P.3d 402 (2019); Doe v. Silverman, 287 Ore. App. 247 (2017); Doe v. Silverman (Dixon), 286 Or App 813 (2017), N.K. v. Corporation of Presiding Bishop of Church of Jesus Christ of Latter Day Saints, 175 Wn. App. 517, 307 P.3d 730 (2013); Jack Doe 1 v. Lake Oswego School Dist., 353 Or. 321, 297 P.3d 1287 (2013); Doe v. Presiding Bishop of the Church of Jesus Christ of Latter-Day Saints, 837 F Supp.2d 1145 (D. Idaho 2011); T.R. v. Boy Scouts of America, 344 Or. 282, 181 P.3d 758 (2008); and Schmidt v. Archdiocese of Portland in Oregon, 218 Or App 661, 180 P3d 160 (2008), Kristian has used his intellect and advocacy skills hold accountable numerous institutions of trust and responsibility for their failure to keep kids safe.